I started ReSaleArt.com after thirty years of volunteering at the Rental Sales Gallery at the Portland Art Museum, and collecting Pacific NW art. I saw the need for a location art owners and collectors can go to sell their artwork they no longer wanted, consequently this website and gallery specialize in consigning and selling original Oregon artwork to the secondary market. 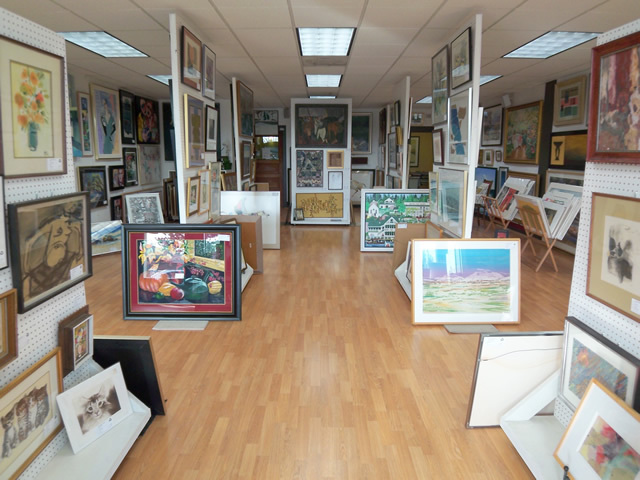 Our consignor clients are individuals and businesses who wish to downsize or their tastes have changed and they want to give their gently used art a new home. Our buyer customers are collectors looking for older artwork or people just starting out buying original art for their homes and businesses and happy with our selection and with secondary market prices. Please take the time to browse through and bookmark this site as inventory changes almost daily. Feel free to call us at (503) 310-9507 or email us at bev@resaleart.com for more information.